"Those who have no record of what their forebears have accomplished lose the inspiration which comes from the teaching of biography and history." Dayton, Ohio native LaTonya Branham is the author and editor of CultureSeek (1st and 2nd edition) and Spirit Seek (2007). 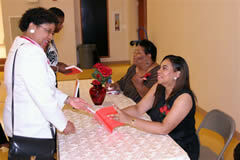 She is also a contributing writer to Chicken Soup for the Soul: Devotional Stories for Women (2009). 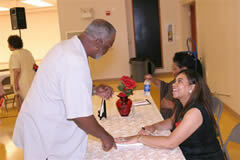 In 2009, LaTonya and two other partners co-founded the 2010 Dayton Book Expo. She is currently working on two other writing projects. LaTonya earned a Master of Arts degree from Antioch University McGregor and a Bachelor of Science degree from Wilberforce University. 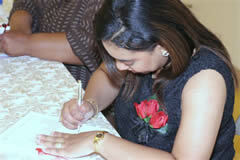 She is a founding member of the Soul of the Pen literary group. Currently, she serves as a college administrator and as an adjunct professor – teaching multicultural education. LaTonya and her husband, Morton, serve in community outreach (First Fruits) and youth ministries.